Yesterday, Blizzard Entertainment officially launched Patch 7.2 for World of Warcraft, subtitled Tomb of Sargeras. 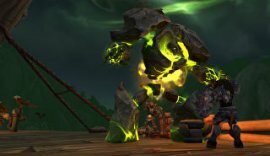 The patch saw the return of Sargeras himself, a new dungeon, flying in the Broken Isle region, the expansion of class campaigns, and more. One thing that was not in the patch notes? Enemy gear-scaling. Folks on noticed that enemies at level 110, the current level cap, were now shifting in HP. Enemies retain a base level of HP at level 110, but scale higher depending on the average item level of the player's gear. This isn't a horrible change, it just happens to be one Blizzard previously said was off the table. "Once you're max level, the world isn't scaling with your gear. There would be problems if we tried to do that - what do you do with a fresh 110 and a raid-geared 110 fighting the same mob in the same place? But I think that would go too far in undermining the core sense of power progression that is part of an MMO, " said game director Ion Hazzikostas in a statement last year when asked about gear-scaling enemies. The uproar in the community over the change prompted Hazzikostas himself to address the change in a statement on the World of Warcraft forums. He called the addition of gear-scaling a "deliberate change" to the game, but admitted that Blizzard will be making tweaks to the system in the future. "Yes, this reflects a deliberate change, but it's also not working exactly as we intended, " wrote Hazzikostas on the official WoW forums. "The scaling may be too steep, and the fact that unequipping a piece of gear can ever be helpful is a bug in the system. We'll be looking into making changes to correct this in the very near future." "Power progression is an essential part of the WoW endgame, and the last thing we want is to undermine that. 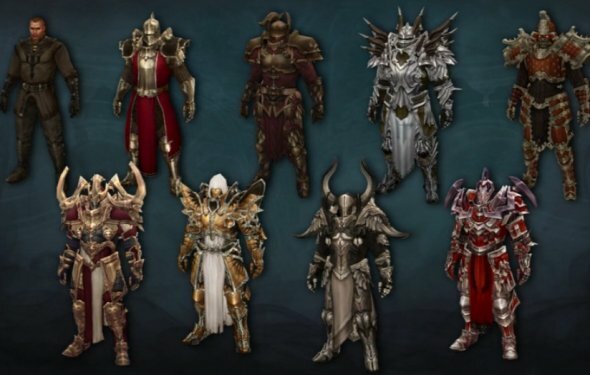 We stressed the importance of that progression when discussing how the level-scaling system worked in Legion around the time of the expansion's launch, and explained why we then had no plans to scale foes' power based on gear. But as we've watched Legion unfold, we've come to observe some side-effects of our endgame content plan and the associated rewards structure that made us reconsider." The problem he notes is that outdoor content in the game usually doesn't remain as relevant as it does in Legion. Once end-game gear started to filter into the game, Blizzard found players were killing outdoor quest mobs instantly. "We absolutely want you to feel overpowered as you return to steamroll content that once was challenging. But there's a threshold beyond which the game's core mechanics start to break down, " said Hazzikostas. "When someone trying to wind up a 2.5sec cast can't get a nuke off against a quest target before another player charges in and one-shots it, that feels broken. And even for the Mythic-geared bringer of death and destruction, when everything dies nearly instantly, you spend more time looting corpses than you do making them. You spend an order of magnitude longer traveling to a quest location than you do killing the quest target. You stop using your core class abilities and instead focus on spamming instants to tap mobs as quickly as possible before they die." "Our goal is basically to safeguard against that degenerate extreme. We tune outdoor combat for a fresh 110 around a 12-15sec duration against a standard non-elite, non-boss enemy. It's great for gear, over the course of an expansion to cut that time in half, or even by two-thirds. But once you get down to a duration of one or two global cooldowns, the game just wasn't built to support that as the norm." The issue is that Blizzard didn't say anything about the change. It's one thing to patch in a major mechanic and let players know it's coming. It's another to patch it in without saying anything.